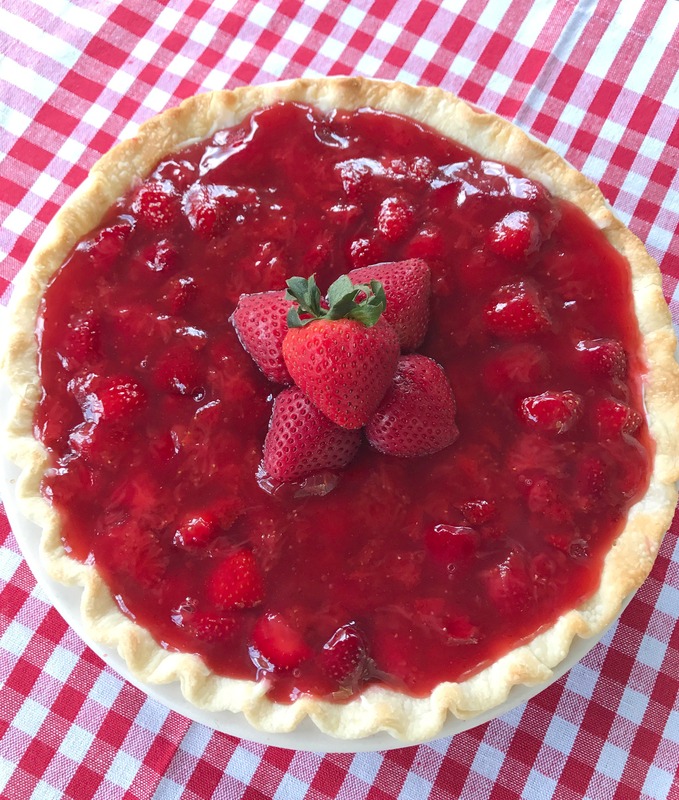 Fresh strawberry pie is a favorite at our home this time of year. When my boys were in school, I made this pie for teacher appreciation gift. I baked the pie in a nice stoneware pie dish for the teacher to keep. What I think makes this pie, the BEST, is the addition of a layer of cream cheese spread on the pie crust before adding the strawberries. Plus, making your own strawberry glaze is soooooo much better than the store bought gel (and it’s super easy too). So, I hope you all think this is the BEST strawberry pie, just like my family. It is super easy and you only need a few ingredients! I made two pies yesterday, so I just doubled everything. Prepare your pie crusts. 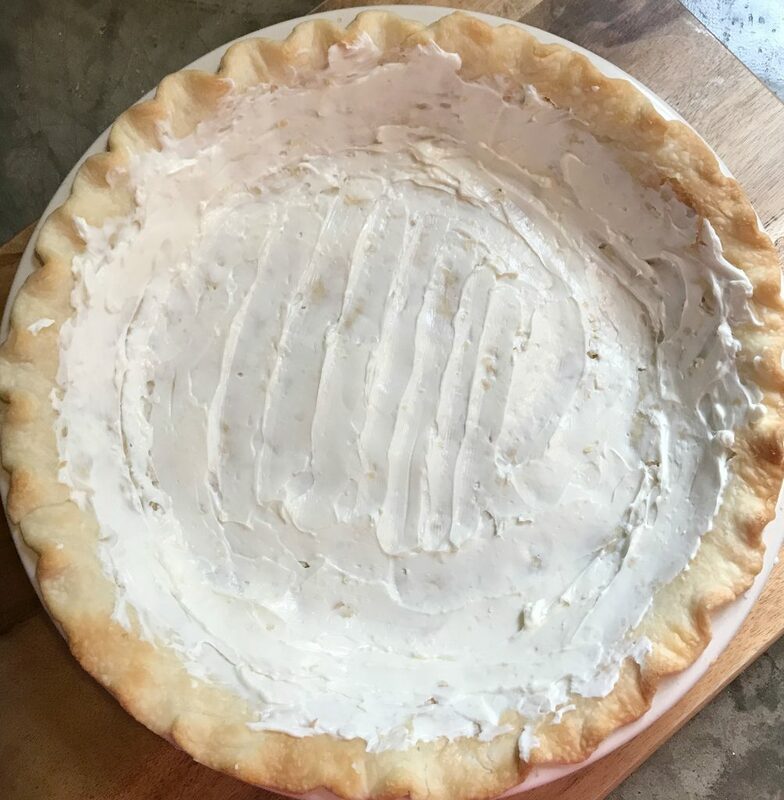 Flute edges, pierce the crust with a fork to prevent bubbling, and bake in oven for the amount of time for a single crust pie. Let the baked crust cool for about ten minutes. Carefully spread the cream cheese onto the sides and bottom of the baked crust. Reserve 1 cup strawberries for the strawberry glaze. Layer the remaining berries in the pie crust. 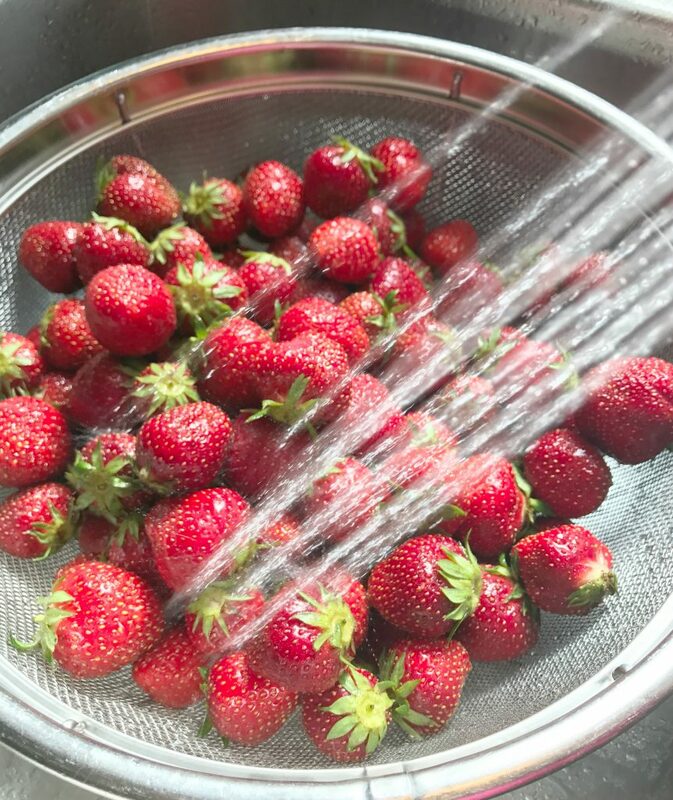 In a medium saucepan, mix together 1 cup strawberries and 2/3 cup water. Simmer for four minutes. In a separate bowl, mix together 1 cup sugar, 3 tablespoons cornstarch, and 1/3 cup water. Use a whisk to combine thoroughly. Add the mixture to the simmered strawberries and water and bring to a boil. Boil for one minute until it thickens to a strawberry glaze. 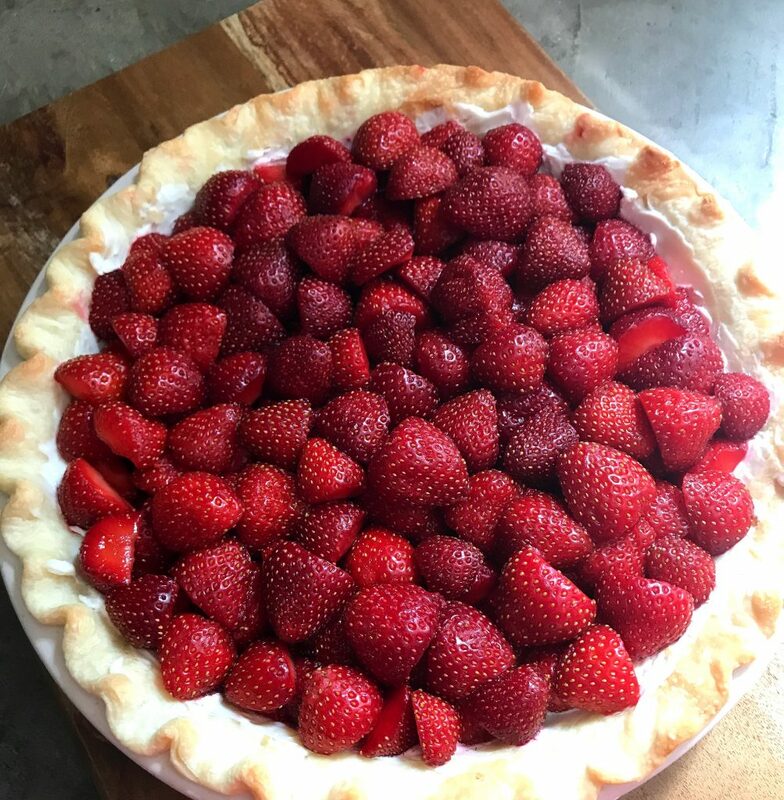 And, to make it a little fancy, I like to half a few large strawberries and arrange them in the center of the pie and then add one large strawberry on top. Pour the glaze over the strawberry pie. Chill in refrigerator until completely set. Enjoy! Be sure to PIN this recipe to your recipe board on Pinterest! Hi Doreen, do you think this pie would freeze well? Thank you! Hi, Robyn. Unfortunately, I don’t think it would freeze well. What pie crust do you use? For this pie, I cheated and used a store bought Pillsbury pie crust. The strawberries look home grown not the store bought kind,so no wonder it looks so YUMMY.